If you’re in the dark about content curation, you’ve come to the right place. 1. What is content curation exactly? Content curation is a great way to build a large audience by adding value to other people’s content. It’s about discovering and publishing content that is relevant to your audience, and it is an essential component of successful content marketing. Also it should be noted here that curated content is not duplicate content. For more on this, read this article! 2. How does content curation fit into content creation? Give content kudos! While it’s important to create great content ourselves, it’s also extremely effective to recognize and promote others who are also creating great content. Curating content can also be a huge source of inspiration. 3. What is a good mix of content creation and curation (80/20, etc.)? Some say that as a content marketer you should allocate 20% of your time to creation, and 80% to distribution. Is that really the case? The key here is balance. It’s essential to provide your audience with a mix of valuable content that’s both original and from other sources. Your content should always be aimed at providing value for your audience and less about promoting your brand. While there may not be an exact ratio you should strictly adhere to, bottom line is that the majority of your content should be useful to your audience. 4. What are some ways to find great content to curate? The discussion was packed with suggestions for great content curation tips and tools to add to your content curation arsenal. You can use curation tools like Scoop.it to help you discover relevant, top quality content you may never have otherwise found in minutes to publish directly to your blog. BuzzSumo is another great tool for finding out what your audience is talking about and for discovering top influencers in your space to amplify your content. Other methods of finding great content to curate include email newsletters, using Twitter lists, or subscribing to influential blogs in your industry to see what topics people are discussing. Here are some additional ways you can curate content on your blog! 5. 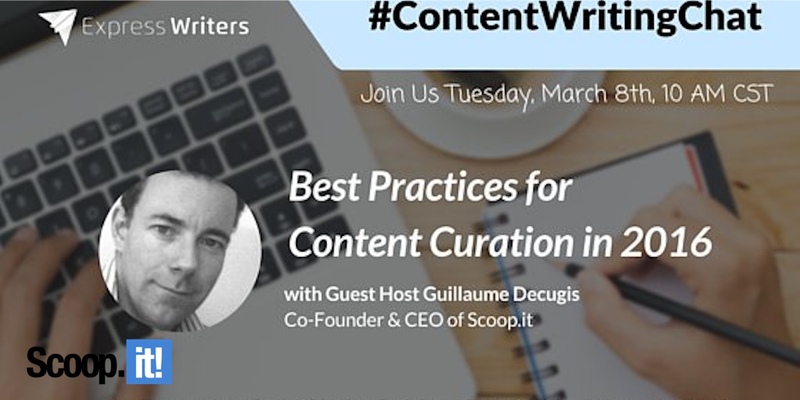 What are best practices for content curation? One of the most important things to keep in mind when curating content is to always give proper credit to the original source, and never try to assume credit for something you didn’t create! 6. What are some don’ts for content curation? Don’t curate for search engines: curate for your audience instead! 7. What are some of the best tools for content curation? 8. Open Q&A session with Guillaume! To conclude the chat, Guillaume answered some remaining questions. For more insights from the chat, we invite you to check out the Express Writer recap here. And if that’s still not enough to satiate your content curation appetite, check out this article. As always, if you have questions, comments, or anything you’d like to add about content curation, let us know in the comments below! 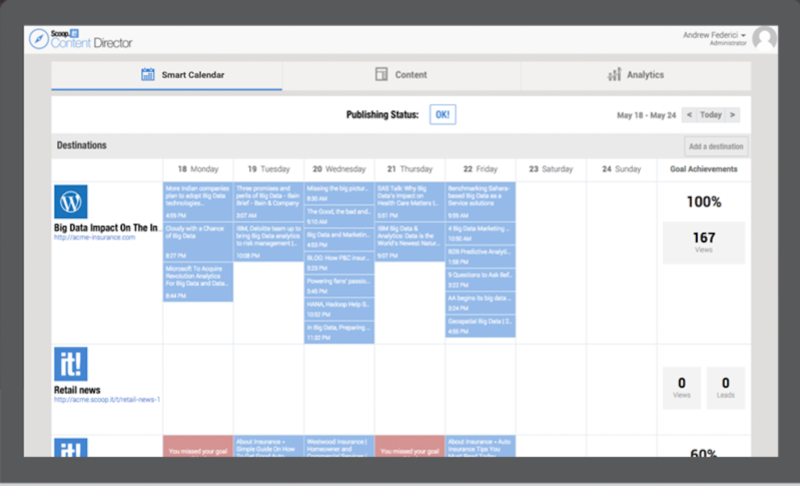 And if you want to see how Scoop.it Content Director can help with your content curation and content marketing efforts, sign up for a demo today! 1 Comment on "Everything you need to know about curation in 2016: 8 content curation best practices"